Following the capture of the islands of Lagosta and Curzola, which provided excellent naval bases just off the Dalmatian coast, the British navy felt able to launch attacks on larger French posts, often utilising elements of any local army garrisons available along the Dalmatian and Croatian coastlines, almost at whim. The island of Cherso (Cres) was seized in May 1813, and the Istrian port of Umag and the town of Dignano (Vodnjan) were captured in early June, their garrisons surrendering, whilst the islands of Giuppana and Mezzo fell in July. Admiral Fremantle continued to move his squadron steadily northward along the coastline, capturing the ports of Fiume (Rijeka), Maltempo and Rovigno (Rovinj), and removing or destroying all the coastal craft found within. Fremantle even joined in the attack on the port of Trieste in October, having found the Austrians (who had joined the war against Napoleon in August 1813) besieging it. He materially contributed to its fall at the end of that month. Naval guns were also landed from the Havannah and Weazel to aid in the siege of Zara (Zadar), which capitulated on 6 December. Captain William Hoste had always had a difficult relationship with Admiral Fremantle; apparently on one occasion he was asked sarcastically by the admiral if he only came to their meetings to be complimented. He therefore chose, not unsurprisingly, to remain separate and independent of the admiral whenever possible. 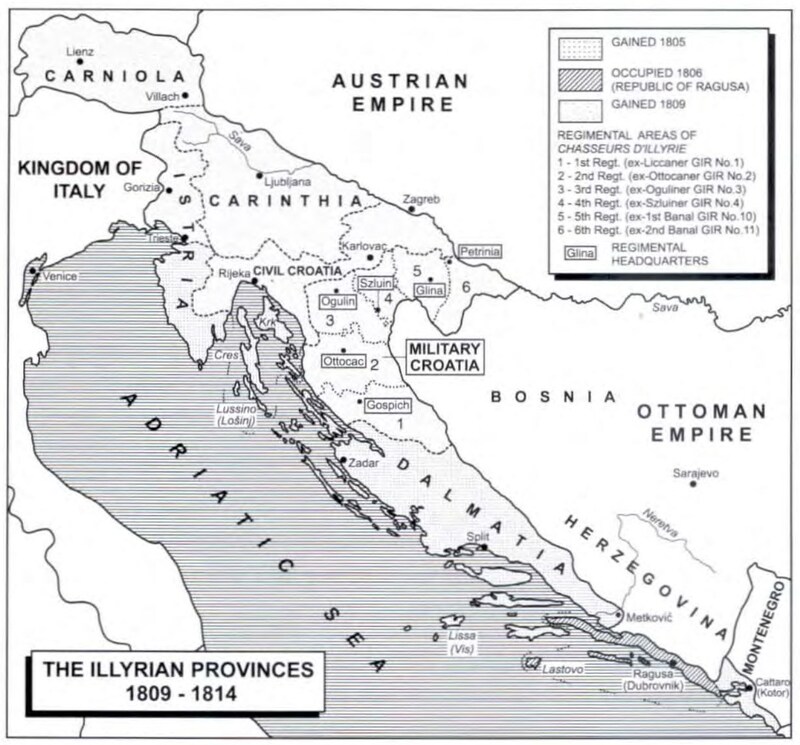 The cities of Cattaro and Ragusa (Dubrovnik) were completely isolated by the capture of the Dalmatian islands and surrounding coastal towns, but were still garrisoned by significant numbers of French troops. Colonel Robertson of the 35th Foot had reported that the native populations around Cattaro and Ragusa were ready to rise in revolt, and Hoste constantly watched eagerly for an opportunity to get involved. This was not an easy task, with Fremantle declaring their capture impracticable without a force of 10,000 men being sent from Sicily. He therefore merely continued to blockade them both by sea. However, in October 1813 Fremantle learnt that the local populace had indeed risen in revolt and that the French garrisons were now besieged within their forts. Fremantle, despite their cool personal relationship, realised that Hoste had a great deal of knowledge and expertise in this area and was therefore despatched ‘with some money, arms and ammunition to take management of the whole concern’. Hoste took the command with great enthusiasm, but this was tempered almost immediately when Fremantle refused to supply him with a force of some 200 soldiers or marines to enable him to launch further attacks on this strongly defended coastline. Fremantle had already asked for Austrian troops to be despatched to help besiege these fortresses, and he almost certainly felt that they would be much better placed to carry on such large-scale siege operations. The fortress of Cattaro was reported to mount almost 60 cannon and Ragusa no fewer than 150; what could the guns of one frigate achieve against such fearsome defences? On 13 October 1813 Hoste, with just the Bacchante and Saracen (18 guns), entered the Gulf of Cattaro; this was difficult in itself, with the gulf’s own micro-weather system causing violent storms to suddenly whip up without warning. Passing the small fortress of Castello Nuovo (Herzog-Novi), the ships then squeezed through narrows only 200 yards wide before emerging into the capacious inland bay within, bordered by high mountains, whose crests were rarely to be seen without their shrouds of grey clouds. 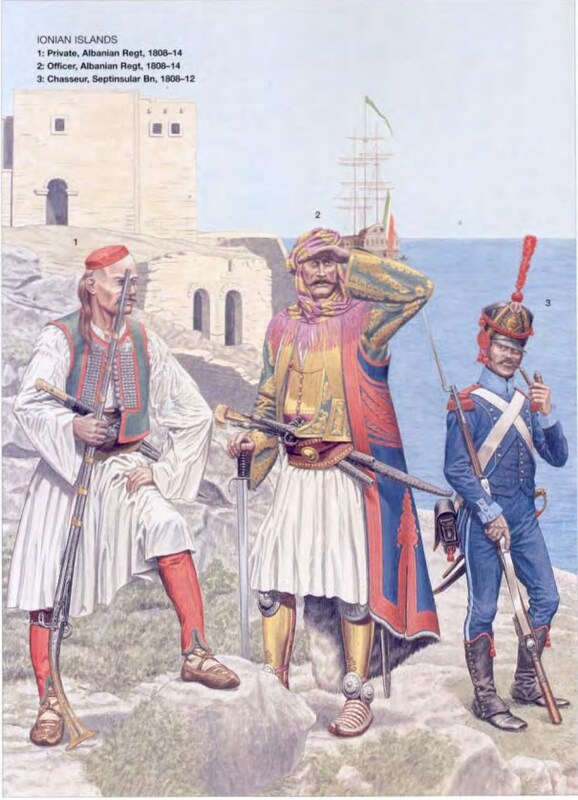 At the head of the gulf, clinging precariously to the shoreline, was the fortress of Cattaro, mounting some fifty-six cannon and with a garrison of some 700 Croatian and Italian troops, led by French officers. The fortress was commanded by General de Brigade Etienne Gauthier, who was confident that the natural strength of his command would prevent Hoste and the insurgents from prosecuting a successful siege. On the 14th Hoste launched an attack on Castello Nuovo, whilst the ship’s boats pulled towards the two small islands that commanded the northern end of the narrows. The boats arrived to find the islands already besieged by local insurgents, but their arrival turned the tide and the small garrisons soon surrendered. The commander at Castello Nuovo was keen to capitulate, but refused the terms offered, which did not allow the repatriation of his entire garrison, including his small French element, to their homelands. Hoste lost his patience and announced that a fearsome bombardment would commence in five minutes, whilst an assault would be made by the Montenegrin insurgents, who had a fearsome reputation. The threat worked and Castello Nuovo promptly capitulated, with both the Russian and Austrian flags raised over the fortress to placate the various insurgent factions. Hoste now moved against the even stronger fortress of Cattaro. He began by collecting the guns captured on the island of St Giorgio, but he did admit that it would be ‘a business of great labour and difficulty, if at all practicable’. However, internal dissensions within the various insurgent factions, who distrusted each other more than the French, eventually led Hoste to abandon the attempt and he promptly sailed out of the gulf to seek more promising adventures. After a short time off Ragusa, Hoste came to the conclusion that the Austrian force sent to take the two great fortresses was hopelessly inadequate and he saw no chance of successfully prosecuting either proposed attack. However, as his frigate passed Lissa, a boat came out carrying Major John Slessor of the 35th Foot, who informed Hoste that the French garrison had abandoned Spalato (Split). Hoste promptly took a detachment of the 35th and landed them, along with his own marines, at Spalato, holding the port until Austrian troops arrived to take possession of it a few days later. Hoste’s force then returned to Lissa. Meanwhile, Admiral Fremantle had supported the Austrian siege of Trieste, the British supplying guns and crews for the siege batteries. The Austrian General Count Nugent was then offered the support of a portion of the British garrisons in the Ionian islands, including two companies of the 35th Foot and some foreign troops commanded by Colonel Robertson. These were landed near Trieste by Admiral Fremantle on 12 October 1813, although they did not participate in the siege of the fortress. The French garrison, amounting to some 800 troops and fifty-three cannon finally surrendered on 29 October. Plans were now made for an attack on Lesina (Hvar), the last remaining large Dalmatian island still occupied by the French. A detachment of the 35th Foot sailed with Hoste on board HMS Bacchante and HMS Mermaid to capture the island of Lesina on 8 November 1813. The following morning at 2.00am the troops landed, the 35th attacking the town whilst Hoste and his marines attacked Fort Napoleon on the top of a nearby hill, where the garrison slept each night. The attack on the town at dawn had succeeded beyond all expectation; all but one of the French officers, who continued to sleep in the town every night, were captured in their beds. But the marines found the climb to the fort harder than expected and the French garrison was fully aware of their approach. The attempt on the fort failed due to a lack of artillery and the invasion was finally abandoned. Two days later, however, the French garrison threatened to murder their sole remaining officer, an engineer, and offered to capitulate unilaterally to Major Slessor, who sent some troops from Lissa to take command of the island, Hoste having already left the scene in dismay. Hoste again sailed towards Ragusa, where he learned that the Ragusan nobility had launched an insurrection and forced the French garrison to withdraw into the fortress, where they were effectively blockaded. Their leader, Count Caboga, agreed to a detachment of the 35th Foot and Corsican Rangers being landed at Ragusa Vecchia on the mainland, and Hoste duly transported the troops there. But here Hoste caused a bit of a diplomatic incident by raising the Ragusan flag at Ragusa Vecchia, in an attempt to encourage the Ragusans to rise up, although he held out little hope of success. The Austrians had no wish to encourage such independent thought amongst the Croatian population and were not pleased. Indeed, Hoste wrote to Admiral Fremantle that ‘I can give you no hopes of Ragusa soon falling … I do not possess the means of reducing it’, and he spoke disparagingly of the insurgents and the blockade: ‘like all undisciplined troops … sometimes there are two thousand before the place and the next day probably 100’. Hoste then set off for Cattaro once again, whilst the infantry detachment sought to cooperate with the Ragusan insurgents in maintaining their blockade in the hope of starving the garrison into surrendering. One junior officer of the 35th Foot appears to have worked closely with the insurgents to ensure that the men of the garrison remained constantly penned in, and were eventually reduced to eating their horses and even the rats. During Hoste’s absence, Captain John Harper of the sloop Saracen had continued his efforts to help the Montenegrins capture Cattaro. After General Gauthier had refused the first summons to surrender, the morale of the garrison began to fall sharply, the trapped men fearing a bloody assault and a massacre if they were defeated. Some of the Croatian troops actually planned to kidnap Gauthier, whilst Harper planned to place a gun to blow in the main gates to aid their attempt. Warned of the plan, Gauthier withdrew from the fortress to Fort San Giovanni, perched high on a mountain several hundred feet above the city, and warned his loyal troops to watch for any signs of a mutiny. On 28 October the attempt was made. The Croatians successfully forced the main gate and many of the garrison escaped, but the gates were closed again and the fortress held. Efforts to subvert the men, with bribes offered to officers if they did not oppose an assault, were made to no avail. The Montenegrins dragged some cannon into position and began to bombard the fort on 12 December, but they made little impression on the solid stone walls. At this point, Hoste reappeared with the Bacchante, now even more determined after his recent failures to capture the fortress, no matter what it took. As the passage through the gulf was proving difficult because of adverse winds, Hoste went ahead with the ship’s boats carrying fifty men and an 18-pounder cannon. On his arrival, he reconnoitred the fortress from a nearby mountain, from where it soon became abundantly clear to him that firing from the ships or from batteries on land would never be able to make an impression against the 30ft-thick stone walls. He therefore decided to drag some of his ship’s cannon up the mountain to fire plunging shot into the fortress, thereby, he hoped, forcing the garrison to capitulate. Despite the cold rain and biting winds, and the physical strain of hauling over 2 tons of cannon up an almost vertical climb, after six days the first cannon actually reached the summit of Mount Theodore. By 21 December, after herculean efforts, it was fully installed in the battery. Efforts began immediately on hauling up a second cannon and two 11-inch mortars. Further cannon were simultaneously hauled up the lower but steeper side of a second height to enfilade the walls of San Giovanni. All was finally ready and the guns began to fire on the morning of Christmas Day. They continued firing an incessant cannonade from both sides throughout daylight hours for six days. More cannon had been hauled up and on 1 January 1814 all the British batteries fired simultaneously, including rockets, and a number of fires were seen to take hold within the fortress. A further summons to surrender was, however, ignored and Hoste now concerted his efforts with the Montenegrins to assault the fortress. Hearing of the proposed assault, and wary that it might lead to wholesale slaughter, Gauthier called a council of war and negotiations for a surrender finally commenced, coming to fruition on 8 January 1814. The 300 surviving men of the garrison were transported to Italy with the proviso that they would not serve again before they had been exchanged for British prisoners. Hoste sailed away on 16 January, handing possession of the fortress to the local magistrate, thereby avoiding becoming involved in the squabbles between the Montenegrins, the Bocchenese and the Austrians, who would soon appear under the command of General Theodore Milutinovich. Hoste now moved on to the even tougher nut, Ragusa, where Austrian troops had already appeared to strengthen the blockade, but were constantly falling out with the Ragusan insurgents. Incredibly, although the Austrians had come to besiege a major fortress, they lacked siege artillery of any description. The 600 or so Croatian and French troops of the garrison, under the command of General de Division Joseph Montrichard, were now in serious straits regarding food but were determined to hold out for as long as possible. The fortress walls were up to 70 feet high and 16 feet thick and Hoste soon realised that a regular siege was unlikely to succeed here. He again began the job of dragging guns up the adjacent mountains to enfilade the fortress, a task made a great deal less arduous than it had been at Cattaro by utilising as a bridge a covered aqueduct running down from the mountains. He was also reinforced by another small party of the 35th Foot. On 27 January all the cannon were in place and the first ranging shots, plunging into houses on the central square, caused obvious panic within the city. It led to immediate calls from the garrison for negotiations, leading to a formal ceremony of surrender on 28 January in which the Austrians were allowed to march in early, to prevent any attempt by the Ragusans to declare independence. Ragusans did not have to declare independence after French surrender because their republic was already independent when French occupied it in 1806. In 1814 the people of Dubrovnik wanted to restore their independence but Austrians had other plans.